Nurse, educator, and pioneer Clarissa Harlowe Barton was born on December 25, 1821, in Oxford, Massachusetts to Captain Stephen Barton and Sarah Stone Barton. Clara spent most of her life helping others. She began her nursing career when her age was barely in double digits, and returned to the calling during the American Civil War. She was a teacher who not only taught the "Three Rs" but won the hearts of her students. Unable to keep still, a medically-ordered vacation to Europe eventually led to the founding of an organization that still helps people in need today -- the American Red Cross. Shy, timid Clara was just ten when she found her first calling, nursing. When her brother David fell from the roof of a barn and received a severe injury, she insisted she be given the task of nursing her brother. 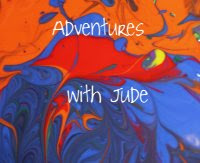 Her parents wanted her to attend more social gatherings and become more outgoing, while she preferred a quieter life. After much badgering from her, they finally acquiesced. David’s doctors taught Clara how to distribute the prescribed medication to her brother, as well as how to place leeches on his body to bleed him. (Bloodletting was a regular treatment during this time.) David grew progressively weaker, and the doctors gave up hope of a recovery. She did not, and convinced her parents to stop letting David be bled. Her faith and persistence paid off; David made a full recovery. In 1838, Clara began a 12 year tenure as a schoolteacher. A popular story is that on her first day of school, the boys sneered at having a lady for a teacher. She noticed the boys were short a player for a game of schoolyard baseball, and offered to pitch. After a few batters, they realized that she could out-pitch all of them! She gave pitching lessons, and they gave her great respect both inside and out of the classroom. Her instruction left a mark on her students' hearts; years later, during the Civil War, there would be a soldier at Chantilly who recognized the lady helping care for him as the teacher for whom he carried books to school and taught to play baseball. In 1850, Barton decided to leave teaching and further her own education, enrolling in the Clinton Liberal Institute in New York. 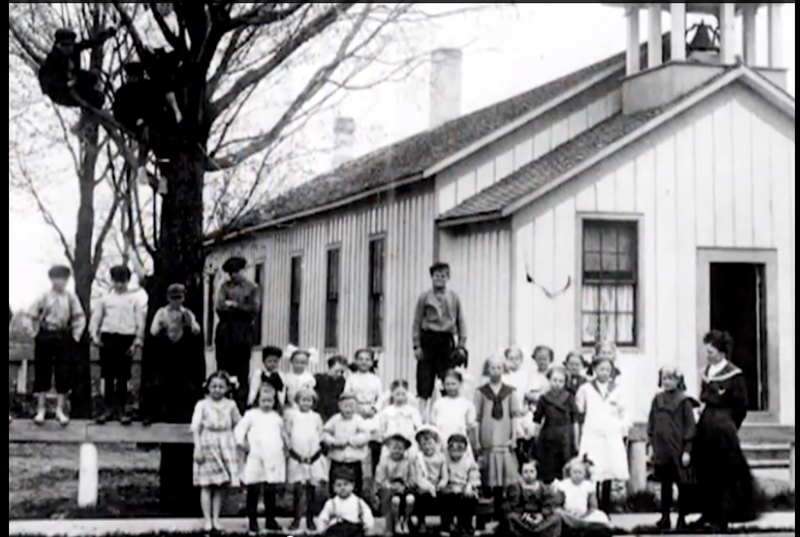 Following these studies, Clara opened a school in Bordentown, New Jersey, the first free school in the state. Under her leadership, the enrollment surpassed 600 students, but in 1855, when it was time to hire a new principal, Clara was passed over in favor of hiring a male headmaster. Frustrated being deemed “female assistant”, she resigned from the school and moved to Washington D.C., where she was hired as a clerk in the US Patent Office and became the first woman to officially hold a government job in U.S. history. For the first time in history, a woman was hired to not only a substantial clerkship in the federal government, but paid wages equal to a man's salary. Rising political opposition to women working in government offices led to her position first being reduced to “Copyist”, and in 1856, the James Buchanan administration eliminated it entirely and she returned to Massachusetts. After Abraham Lincoln was elected in the fall of 1861, Clara returned to the patent office as a temporary copyist, hoping she could make way for more women in government service. Not long after, the Civil War began in earnest. Before her father died in March 1862, Clara discussed the war effort with him. Mr. Barton convinced his daughter that it was her duty to help, telling her, “Remember, next to heaven, our highest duty is to serve our country and support its laws.” (1) The following month, Clara returned yet again to Washington to gather medical supplies, and in August of 1862, she finally was granted permission from Quartermaster Daniel Rucker to work on the front lines, but under the restriction that she was merely a volunteer, not a paid worker, and the only help she would get would be volunteers she recruited. Eventually, after proving her worth alongside the battlefield, she would be assigned soldiers to help her. 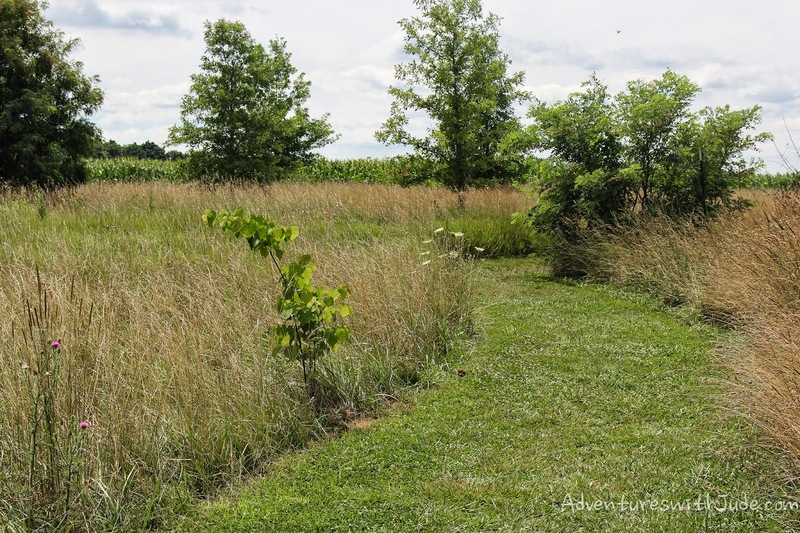 Antietam Battlefield: The path from "Clara's field" to the battle. After the war, she led the Office of Missing Soldiers. The office's purpose was to find or identify soldiers killed or missing in action, giving grieving families closure. Barton then achieved widespread recognition during a lecture tour. 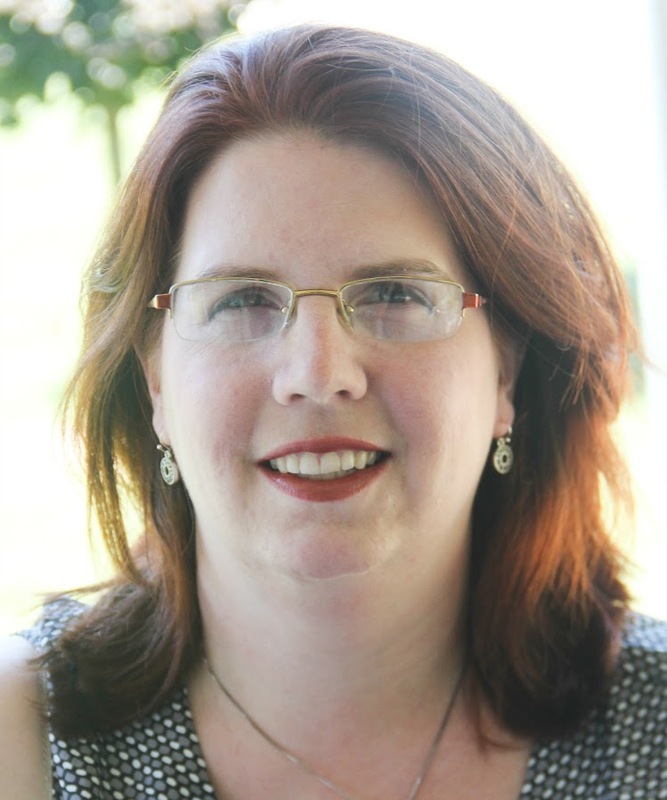 For over a year, she gave speeches about her war experiences throughout the entire country. After her tour, she was both mentally and physically exhausted; her doctor ordered her to go somewhere that would take her far from her current work. The only way to ensure this was to put an ocean between Clara and her job, so she packed up and went on a retreat to Europe for much needed rest. However, Clara could not completely leave her vocation behind. In 1869, during her trip to Geneva, Switzerland, Barton was introduced to the Red Cross movement. She was also introduced to Henry Dunant's book A Memory of Solferino, which called for the formation of national societies to provide relief for those affected by tragedy. Having been on the front lines of war, like Dunant, she recognized the need for an organized way to care for both soldiers and civilians. When she returned to the United States, the American branch of the Red Cross met for the first time on May 21, 1881, and the first local chapter was founded in 1882 in Dansville, New York, where Clara had a “country” home. Though she was President of the American Red Cross, she never left the front lines of service. In 1884, she helped in the floods on the Ohio River, and provided Texas with food and supplies during the famine of 1887. In 1888, she took workers to Illinois after a tornado, followed by leading relief efforts in Florida’s yellow fever epidemic. Within days after the Johnstown Flood in 1889, she and her delegation of 50 doctors and nurses arrived to help. She supported the international work of the Red Cross as well, and in 1897, Barton sailed to Constantinople and opened the first American International Red Cross headquarters in the heart of Turkey. Age was not a deterrent for her; in 1898, 77-year-old Clara worked in hospitals in Cuba. Barton's last field operation as President of the American Red Cross was establishing an orphanage for child victims of the Galveston hurricane of 1900. Criticism arose of her careless management of the American Red Cross and her advancing age, Barton resigned her presidency in 1904. Again, she was forced out of office by male opinion, and replaced by a new generation of all-male scientific-experts who reflected the realistic efficiency of the Progressive Era rather than her idealistic humanitarianism. Undeterred from continuing to serve the sick and injured, Barton retired to Glen Echo, Maryland and founded the National First Aid Society. She also used her retirement to write and publish an autobiography; The Story of My Childhood was published in 1907. She contracted tuberculosis and died in her Glen Echo home at the age of 90. 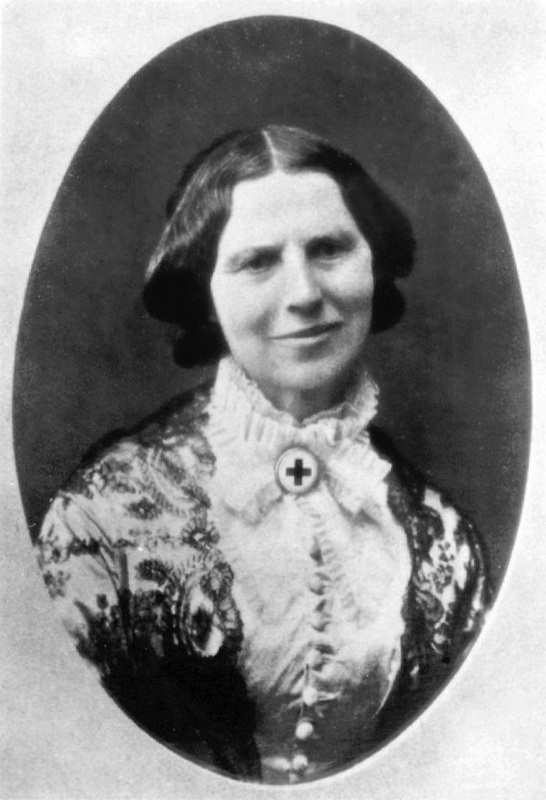 In hindsight, it’s not difficult to believe how much good Clara Barton accomplished in her life -- she was born on Christmas Day and died on Good Friday! She was tenacious in caring for first her brother, her students, "her" boys on the battlefield, and eventually the citizens of the world. She worked a man's job for a man's pay, but then left it behind to volunteer as a war nurse. She strove to bring care to where it is needed, rather than waiting for the the opportunity to do good to appear to her. Her goal to always have someone who cares be available to help continues in the missions of the American Red Cross. (1) Benge, Janet and Geoff Benge. 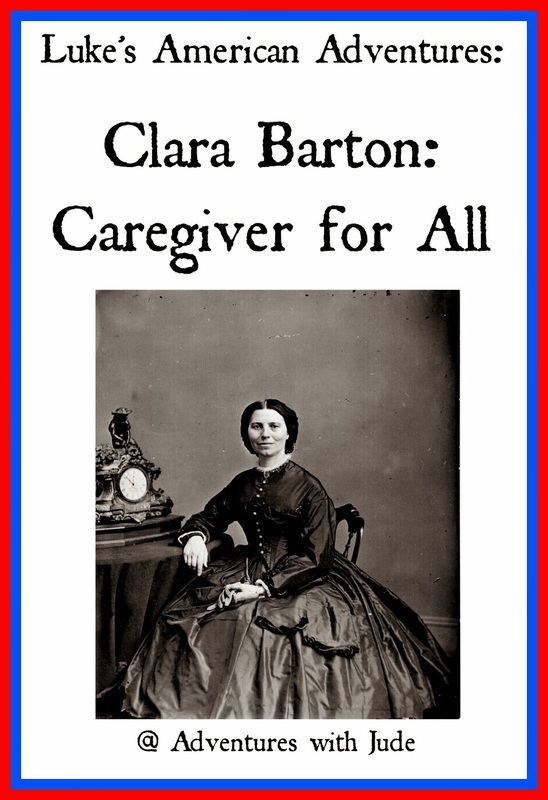 Clara Barton: Courage under Fire. Lynnwood, Washington: Emerald Books, 2003. Print.